As an eight-year-old kid, I became enthralled with the musical theme from the movie Exodus. 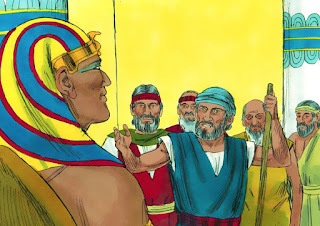 I didn’t have a clue about the movie or the story behind it, but Dad explained about the Bible's exodus—an ancient nation in slavery, the plagues that led a mighty king to finally let them go—and their exodus to a land that would be their own. At my next piano lesson, I boldly asked my teacher if she had the music to Exodus. She looked at me over her eyeglasses, rose, and walked to her massive musical collection. She extracted the sheet music and held it in front of me. “You’re not able to play this,” she declared. Compared to the few musical notes in my beginner’s books, I could see why. So back home, I put the record on the phonograph, and began plunking out the melody on the piano. While I didn’t have the ability to read it from music, I could try and learn it by ear. We’ve seen a week’s worth of Me Too social media status updates. Too many have experienced some sort of unwelcome or twisted sexual advances. Whether at school, work, or even the safe sanctuary of our homes—it’s all wrong. Me Too probably doesn’t even begin to cover some of the wounds those two words represent. Hollywood’s Harvey Weinstein and his predatory practices started the trending hashtag, but I wonder why some of the rich and powerful women’s champions like Jane Fonda and Glenn Close didn’t speak up years ago—since they knew. Edmund Burke said it best: The only thing necessary for the triumph of evil is for good men to do nothing. 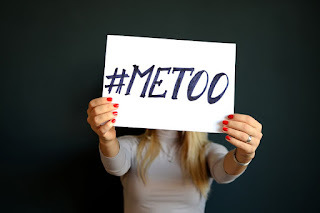 It would be awesome if the Me Too campaign could change predatory behavior. But it won't if this social media buzz is as short-lived as the ALS ice-bucket challenge.